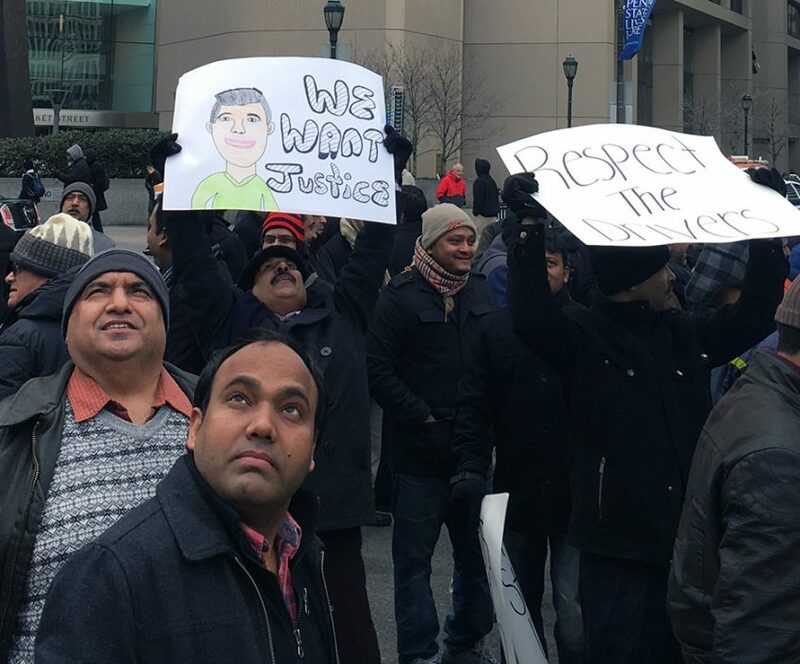 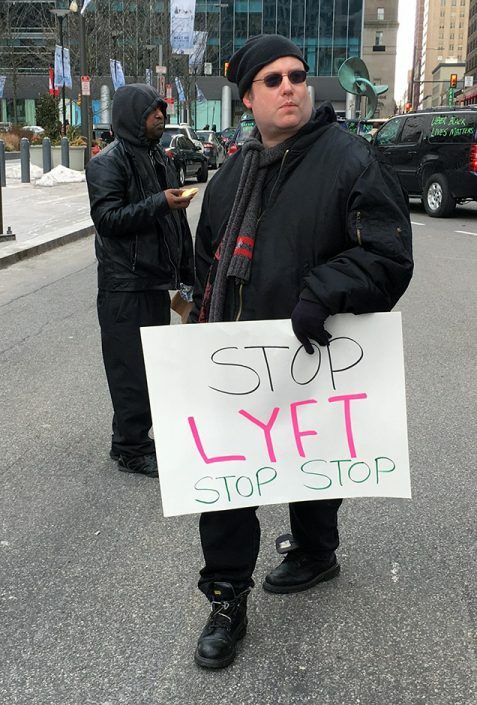 Cabbies and Uber Black drivers blocked the streets around City Hall today to protest UberX and Lyft. 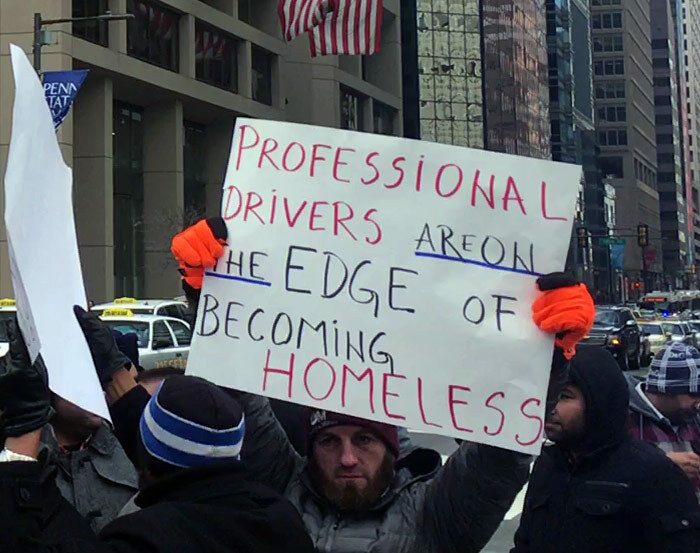 A representative of the mayor eventually met with drivers. 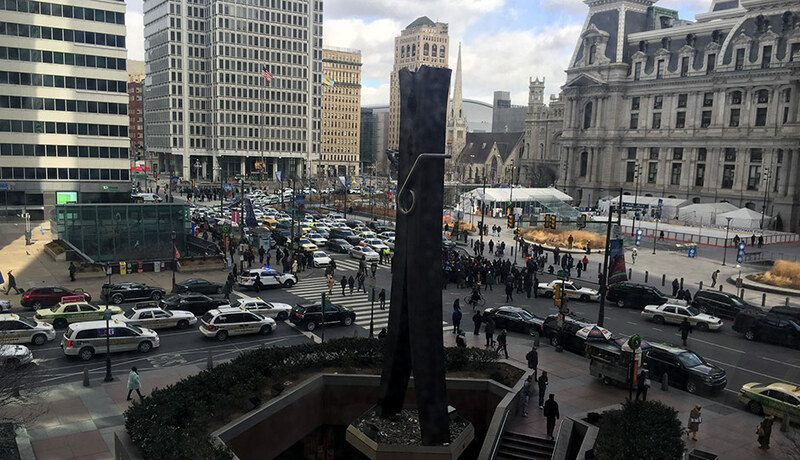 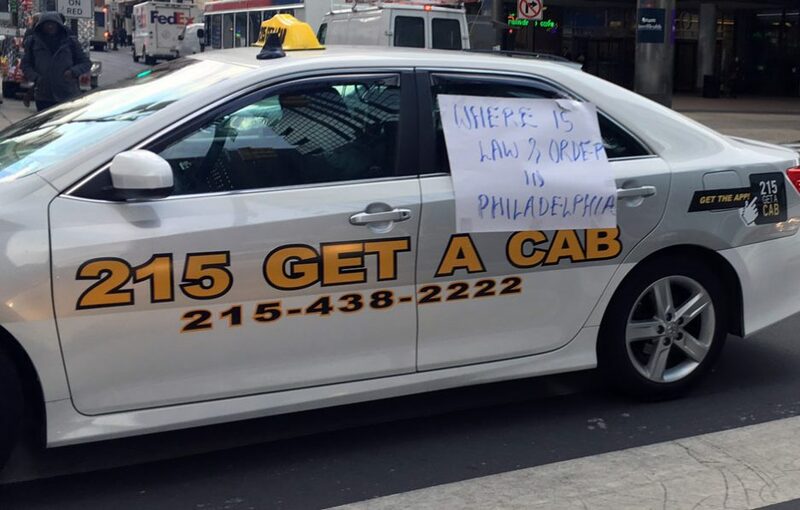 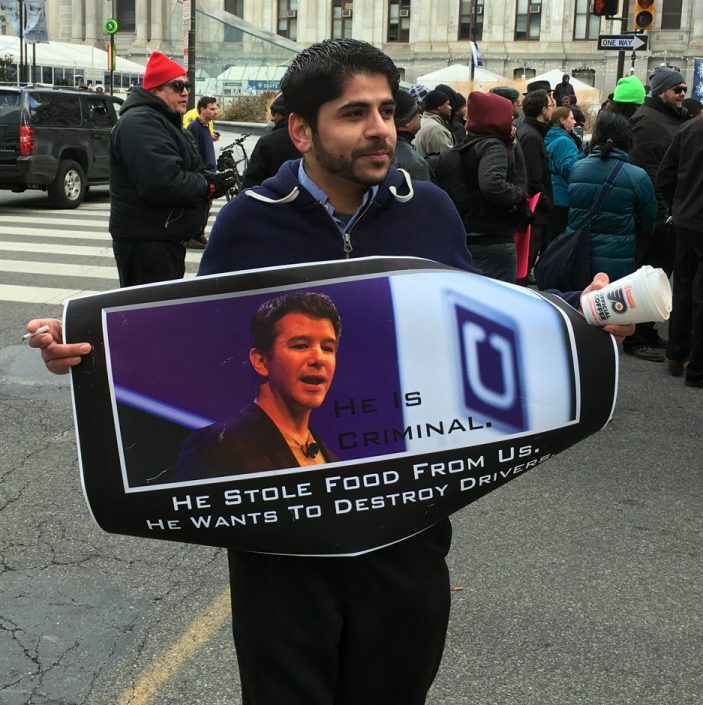 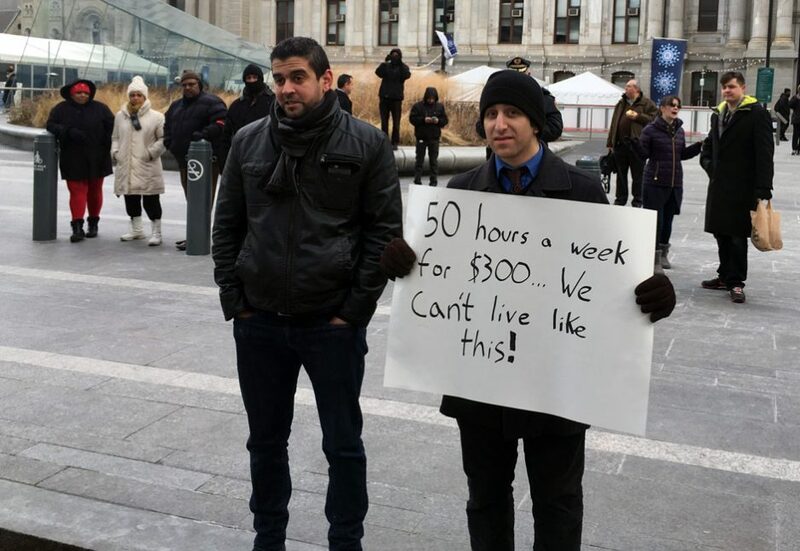 By Dan McQuade·	 2/11/2016, 3:51 p.m.
About 100 cab and Uber Black drivers shut down traffic in Center City today with a protest against Lyft and UberX outside City Hall. 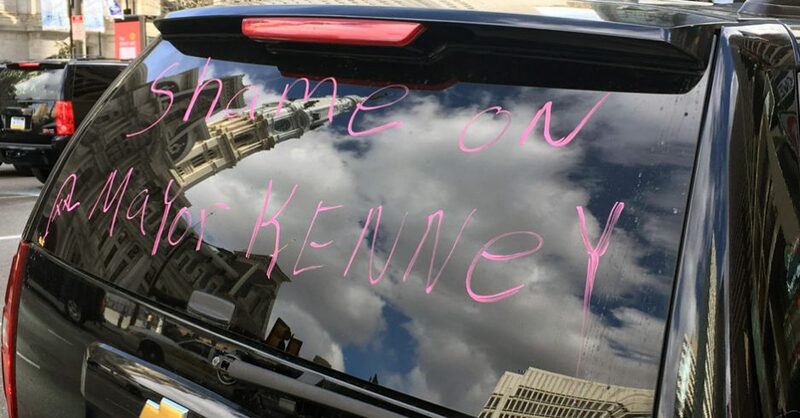 The drivers, who last time circled City Hall for a few hours, parked their cars in the surrounding streets this time for about three hours. 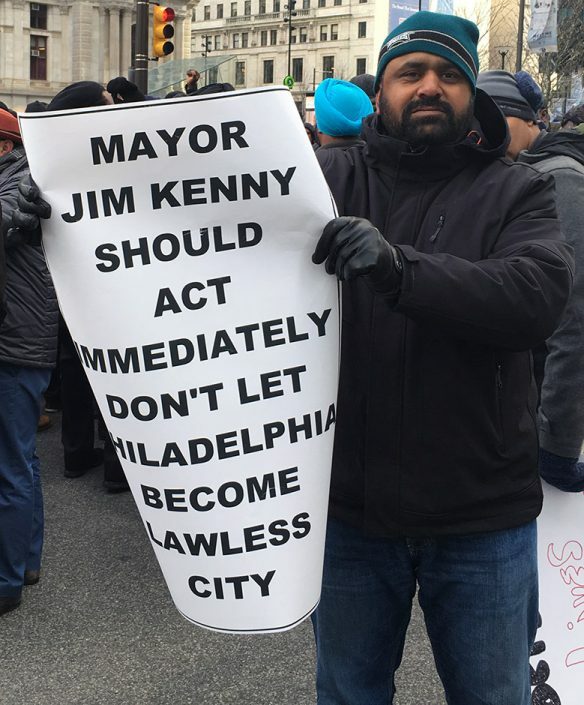 A representative from the mayor’s office arrived a little after 2 p.m. 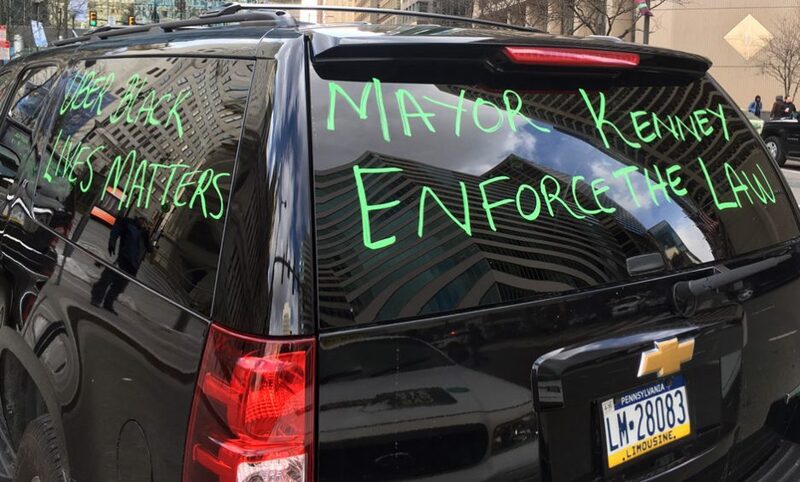 Primarily, drivers wanted to know why UberX and Lyft were allowed to operate in Philadelphia despite not being regulated. 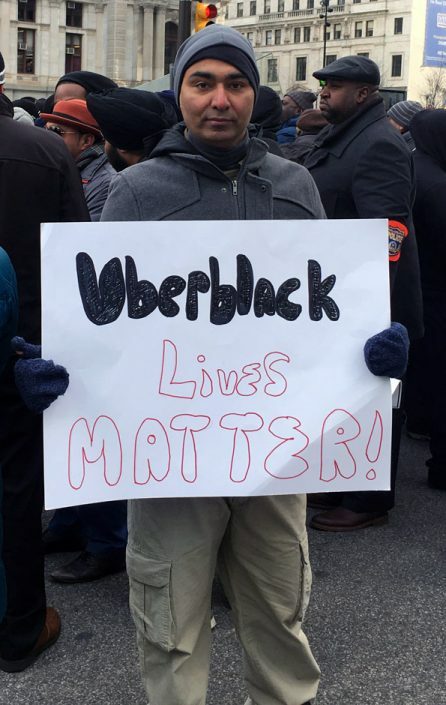 Uber Black is the luxury car service that is regulated by the PPA, and charges higher rates (and gives you a nicer car to ride in) than UberX. 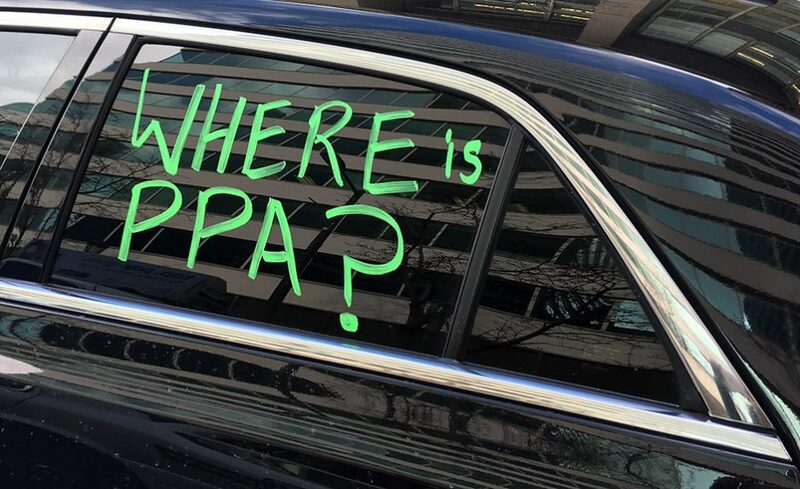 Where Is Law & Order? 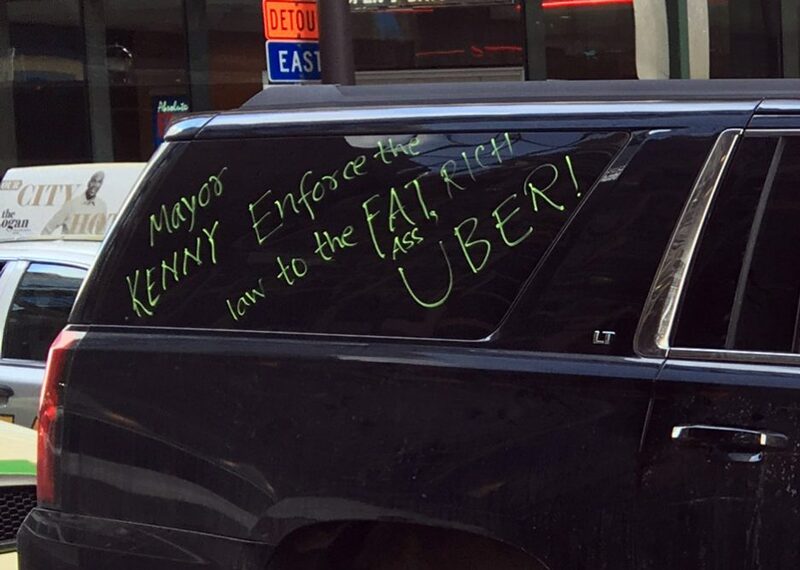 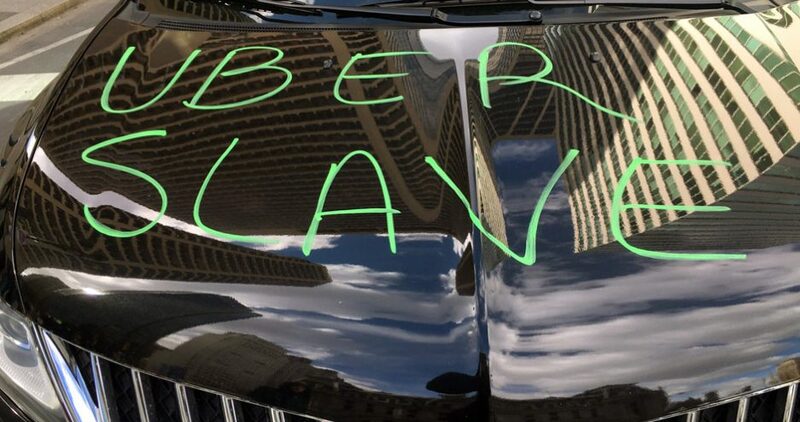 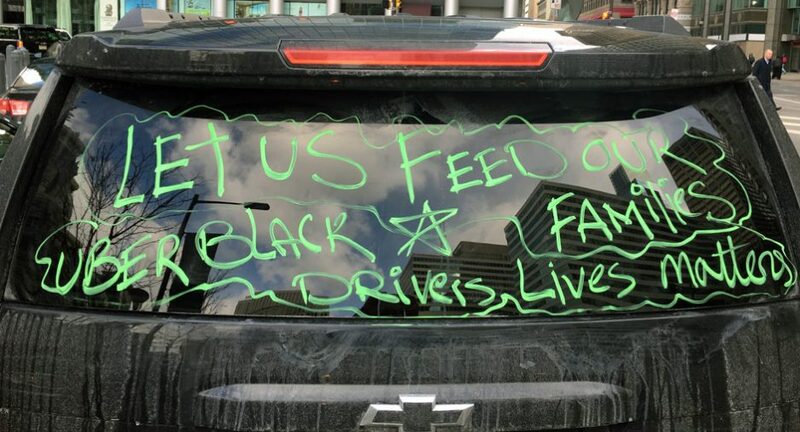 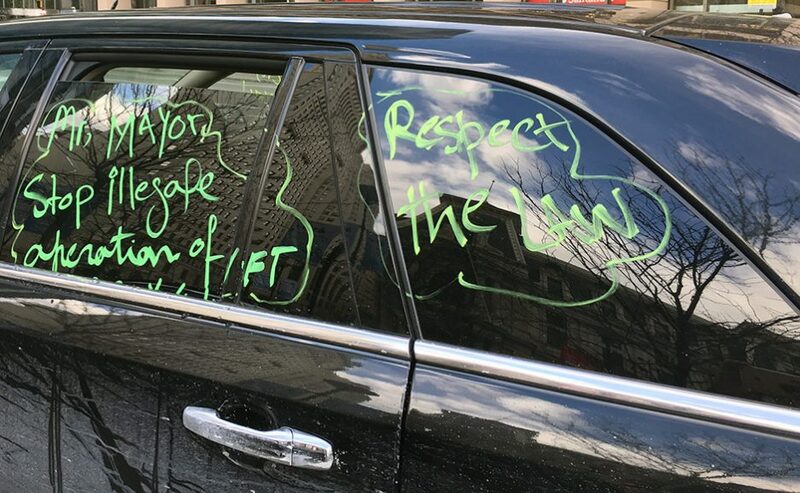 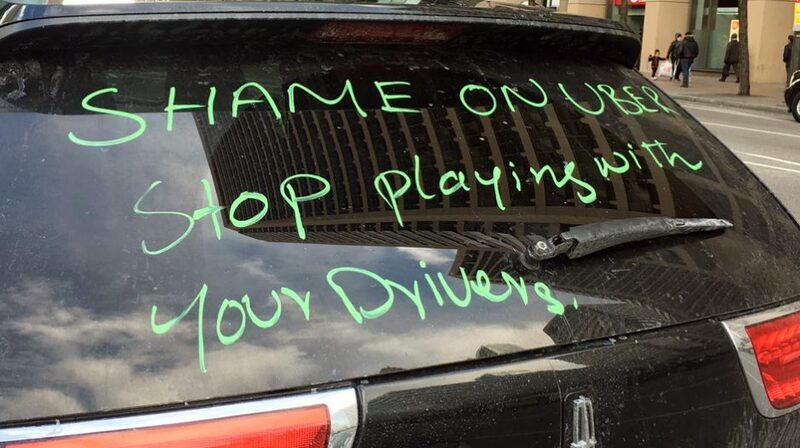 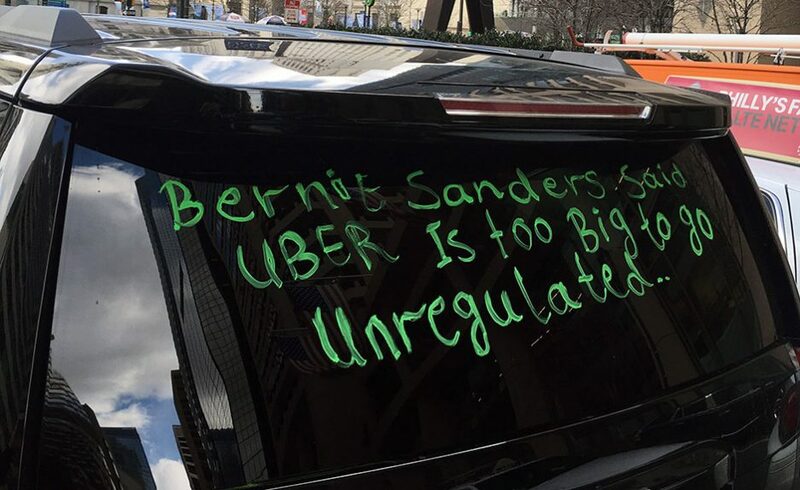 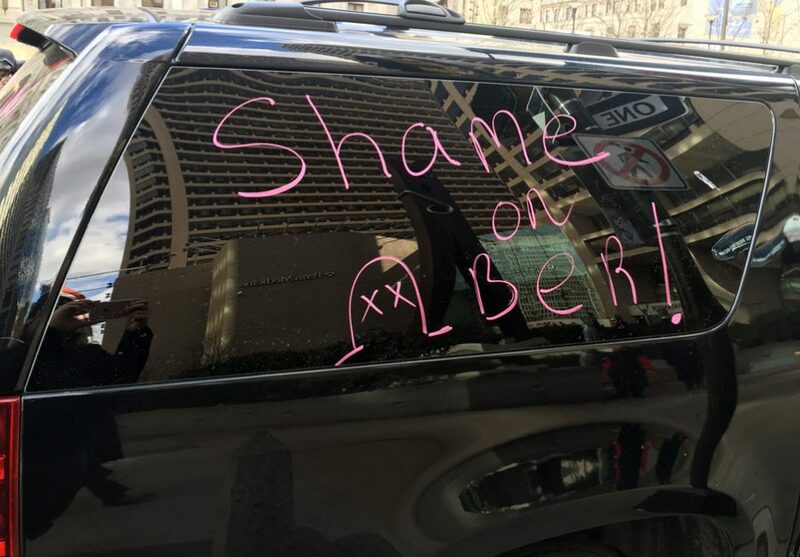 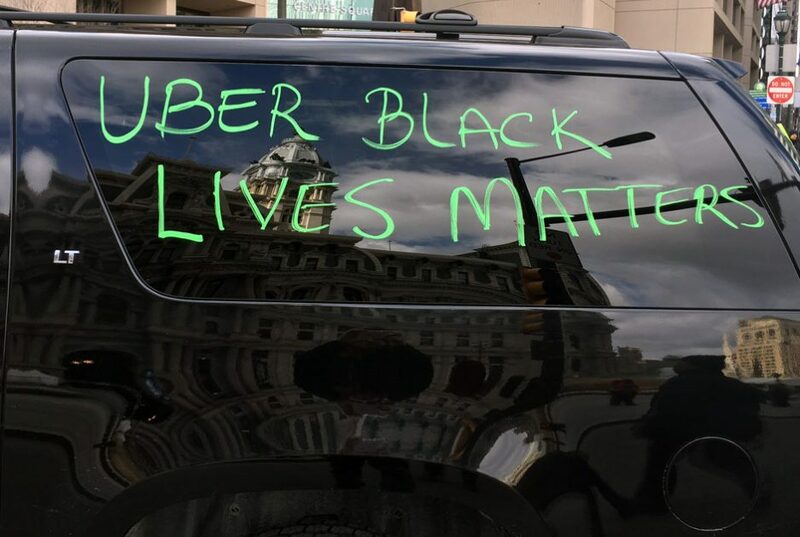 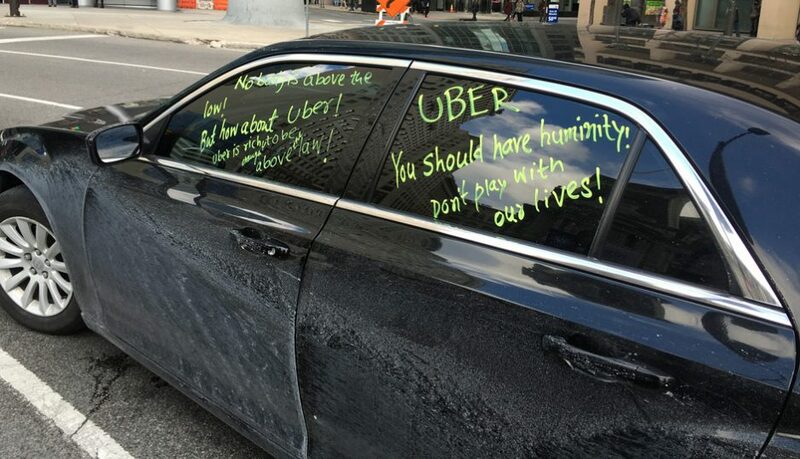 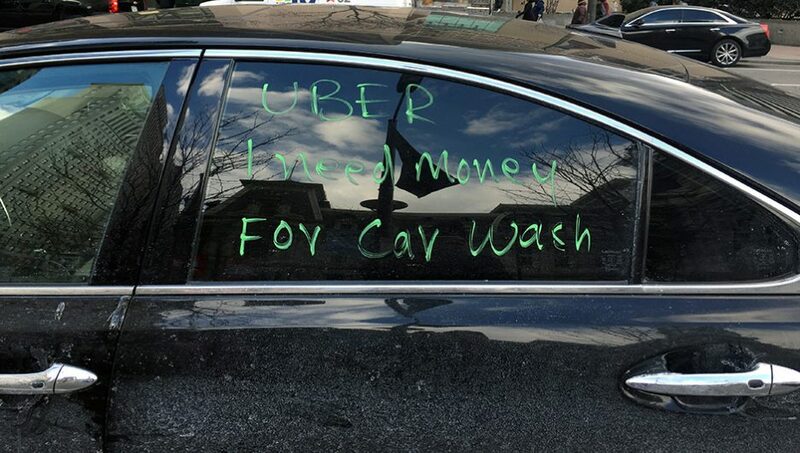 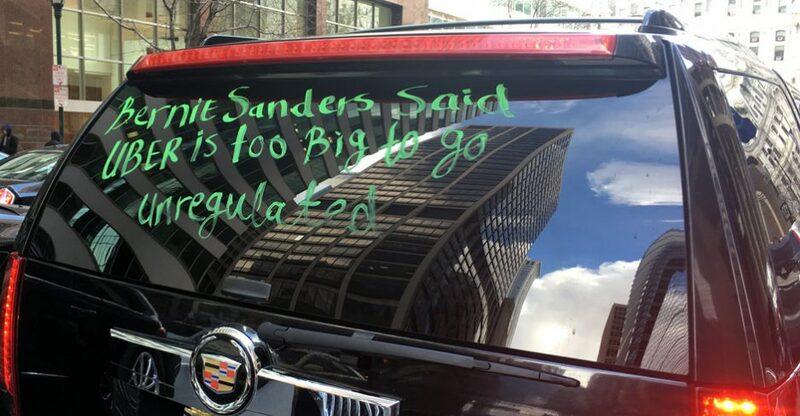 Drivers painted slogans on their windows — “UberBlack Lives Matter,” “Bernie Sanders said Uber is too big to go unregulated,” “Where is PPA?” et cetera — and chanted at the intersection of 15th and Market streets from late morning to early afternoon. 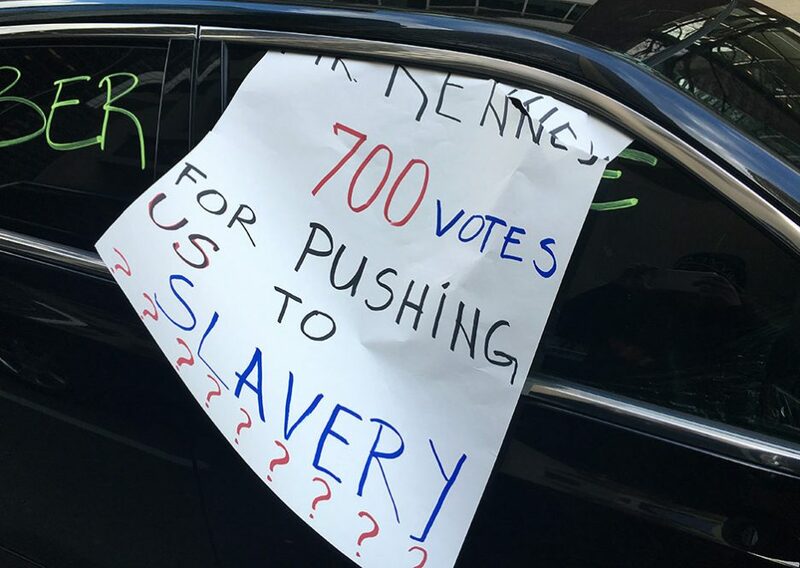 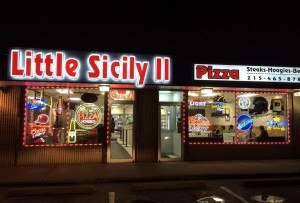 More protests may be coming.